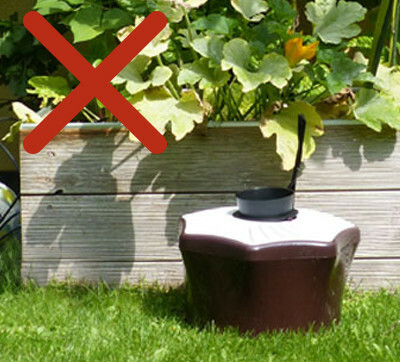 When traps are properly positioned and run continuously throughout the mosquito season, they will efficiently and permanently decrease the mosquito population. 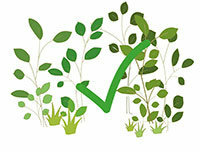 There are some general guidelines for optimum positioning of the trap, however, it is important to realize that every property has its own unique characteristics. So to find the best position with the highest catch rates, test different locations! 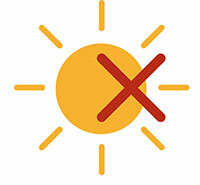 The trap should be put out when the average temperature has risen above 15° C (60° F). Above this temperature, adult mosquitoes fly actively. It is best to catch the mosquitoes as early in the year as possible, before they have a chance to reproduce and lay their eggs. It is important to make sure that the ventilator of the trap runs 24 hours a day. The goal is to catch the mosquitoes before they reach you. 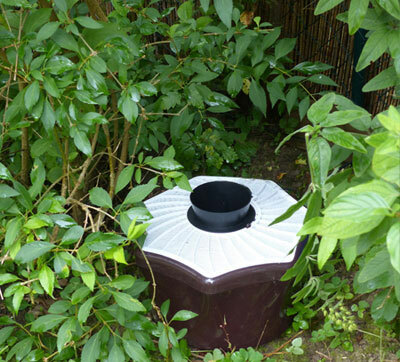 Therefore, it is important to choose a position near the resting areas of the mosquitoes. During the day, mosquitoes spend their rest periods in shady, wind-protected vegetation. If you place the trap here, you can catch the mosquitoes before they reach and bite you. Overhanging plants and bushes often form an empty space underneath. This is an ideal location for the trap if it provides enough space, both for the air currents and for the visibility of the trap. Do not place the trap directly on the deck. 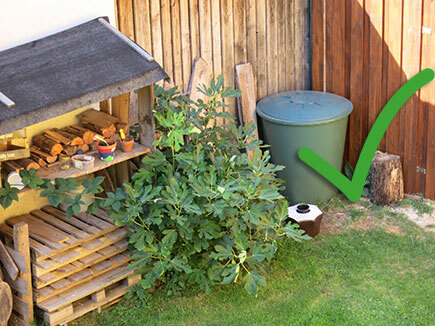 If you place the trap in shady places or bushes near the deck, you will catch the mosquitoes near their resting areas, before they reach the deck and bite you. Resting places of mosquitoes can also be locations with higher humidity such as wells, drains, basements, etc. They also like piles of wood where they can easily hide. Breeding areas for Aedes albopictus and Ae. 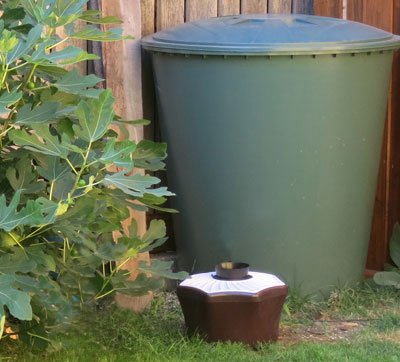 aegypti are usually water holding containers such as rain barrels, saucers under outdoor plants, black corrugated downspout extensions, and unused buckets, pots and other containers around garden sheds. Placing a trap near larval habitats can be effective, however, always take care of choosing a position that is protected from the sun and wind! 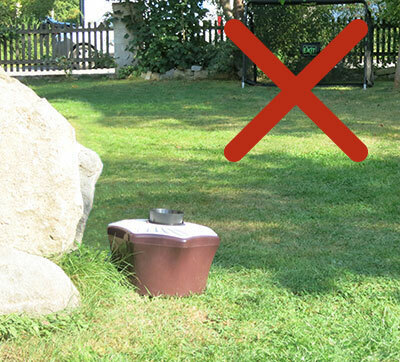 To protect your pets from mosquitoes, don’t place the trap directly next to outdoor shelters, but a few meters away. 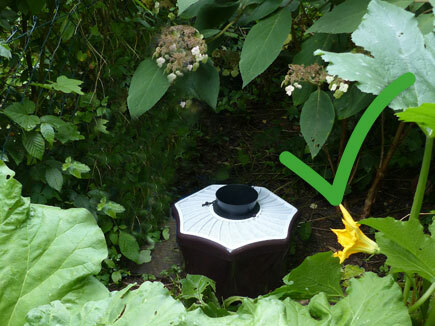 The trap will not be affected by normal amounts of rainfall, however it is best to place the trap in a sheltered location when possible. 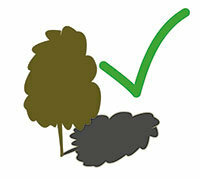 Naturally sheltered positions are, for example, under trees or shrubs, or any other covered area. 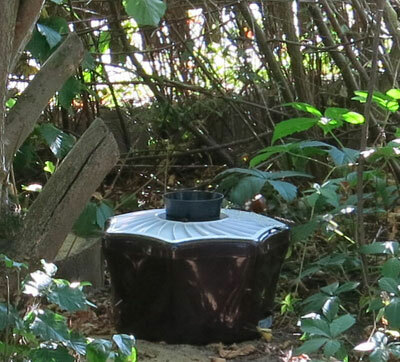 Because mosquitoes avoid rain, and seek sheltered positions, catch rates can be higher in well placed traps. Heavy rainfall can disrupt the airflow by clogging the pores of the cover. This causes a reduction in the suction power of the ventilator, and also a reduction of the catch rate. For this reason, it is always advisable to shelter the trap from heavy rainfall.